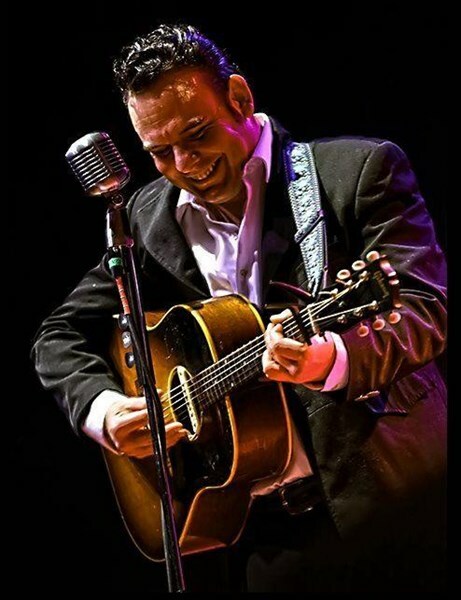 Bill Forness & One More Round perform a theatrical tribute to the 'Man In Black' with an authentic stage presence Johnny Cash fans deserve! The show delivers hits from the 1950's onward. Most notably “Ring of Fire”, “Folsom Prison Blues”, “I Walk The Line”, “Boy Named Sue”, and the Grammy winning “Jackson” . 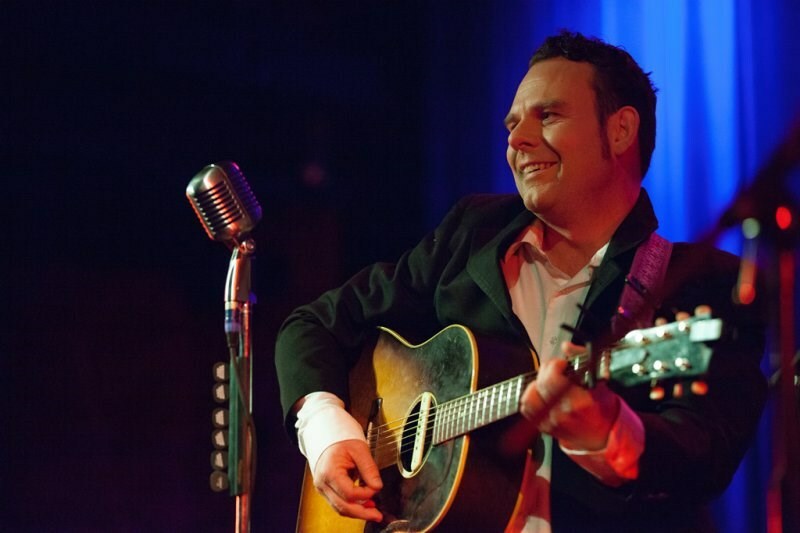 Keeping in the tradition of Johnny's Sun Records releases and America's favorite duets, including the 1990's music from Johnny's American Recordings, Bill Forness & One More Round deliver the Rock N Roll-Blues-Rockabilly-Folkin-Gospel iconic sounds of Johnny Cash! Solo for assisted living, birthdays, anniversaries and smaller events. Trio, quartet or quintet for fairs, festivals, fund raisers and larger events. Folsom Prison Experience which includes our 10 piece ensemble. This spectacular event includes June Carter, the Carter sisters, the Statler Brothers and Carl Perkins! The Folsom Prison Experience is a very interactive and entertaining production. It is ideal for fund raisers. ONE MORE ROUND stole the show at my event. Over 3,000 people cheering along to classics from our child hood. 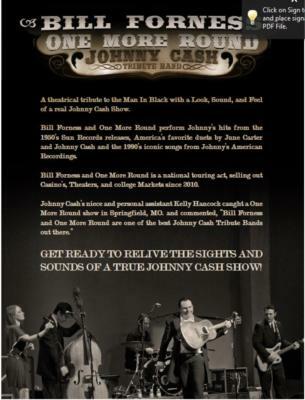 They are amazing I would recomend them to anyone wanting to book a Johnny Cash Tribute band. Please note Bill Forness - A Tribute To Johnny Cash will also travel to Fairview Heights, East Saint Louis, Caseyville, Millstadt, O Fallon, Collinsville, Freeburg, Smithton, Mascoutah, National Stock Yards, Dupo, East Carondelet, Lebanon, Lovejoy, Saint Libory, Saint Louis, Summerfield, Columbia, Madison, Venice, Granite City, Maryville, Troy, Glen Carbon, New Athens, New Baden, New Memphis, Saint Jacob, Waterloo, Edwardsville.